I picked up a couple of Orly polishes at my local CVS a few months ago. Orly retails them for $8.50 on their website, but CVS had them marked down to $4.00 a bottle! Since I've never tried Orly polish before I figured I'd give it a go! 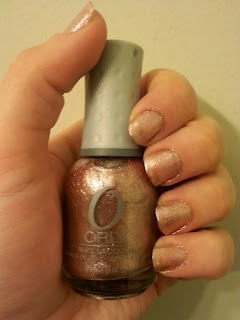 Rage was part of Orly’s Spring 2010 FoilFx collection. I had seen some beautiful swatches of it online and was ecstatic to come across it on the clearance rack! 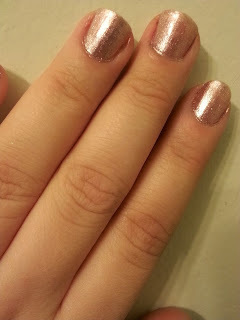 It's a lovely rose gold metallic perfect for fall! It appears as a neutral shimmer indoors while a bolder metallic in direct sunlight. Close Your Eyes is from the 2005 Truth or Dare collection, which explains the name. 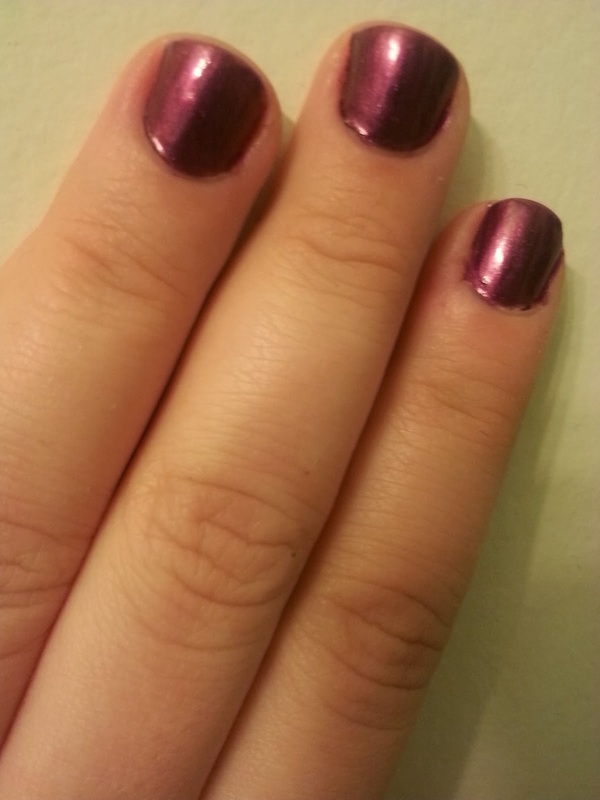 This polish is suppose to be a fuchsia shimmer, but it look more like a deep rich looking plum! I thought I was going to love Rage, but ended up liking Close Your Eyes more. I enjoyed trying these polishes so much that I picked up a set from T.J.Maxx that I can't wait to try out and share with you!! Are you an Orly fan? What's your favorite shade or collection?